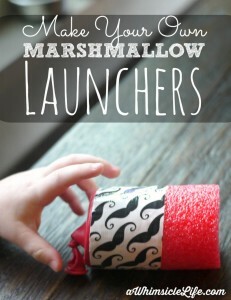 You need a fun activity that is equally impressive and inexpensive! Yes? 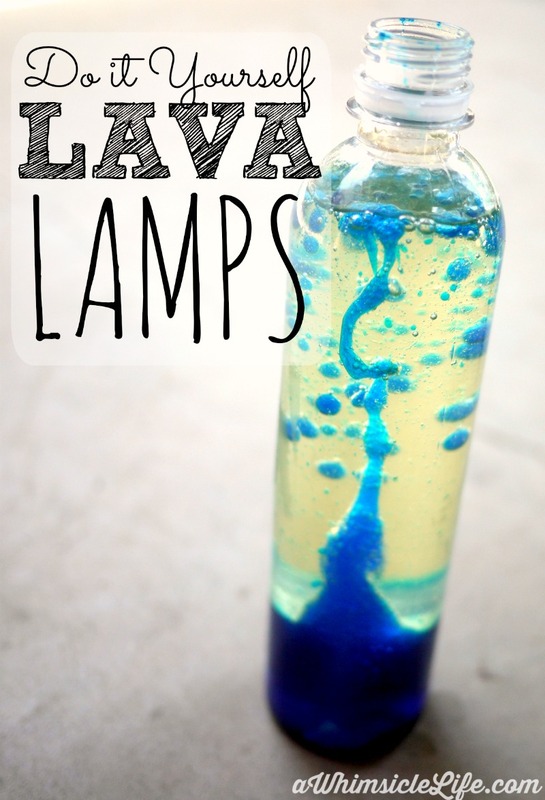 This make your own lava lamp is sure to make you and your kids happy! Plus, science…. I loved staring at my dad’s lava lamp when I was a kid. I would anxiously wait for the lamp to heat up and stand mesmerized as the globules floated to the surface and then sank to the bottom. 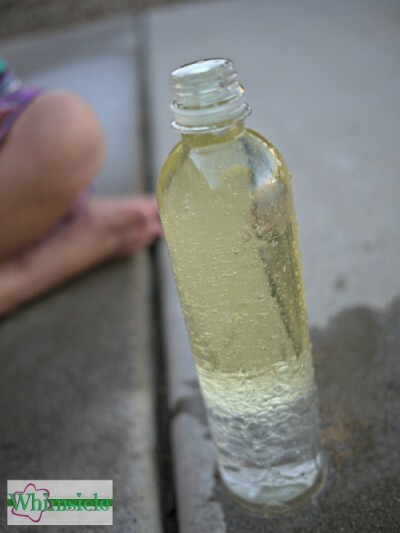 Little did I know, I could create my own homemade lava lamp with a water bottle and use science! Being a former teacher, this activity gets extra points for the science element. I’m a nerd that way. Go education! Woo-hoo! 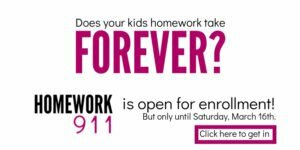 I’m a huge fan in putting a bit of science in every activity I do with my kids. We’ve made silly putty out of baby powder, concocted our own edible boba and even mastered a few magic tricks. Did you get it? OK… let’s do this! 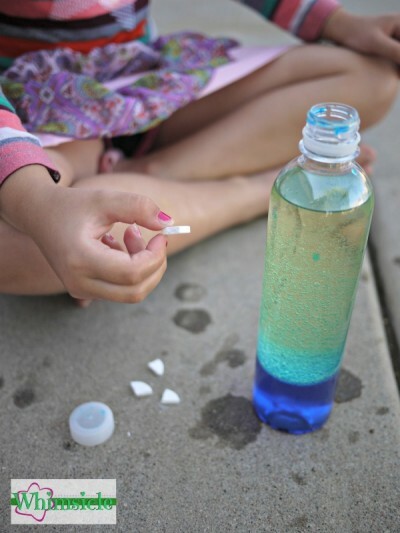 This DIY lava lamp requires no heat or electricity. 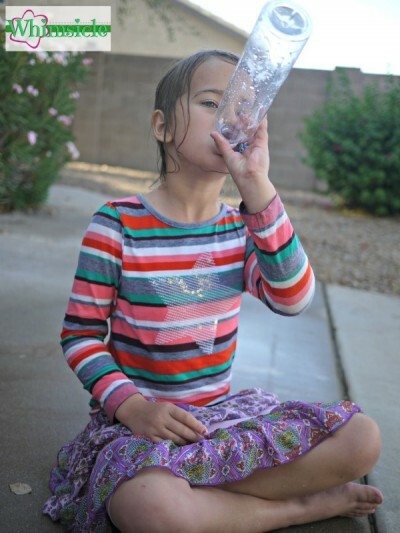 It is a perfect science project and indoor activity for a hot summer day. Now that Phoenix temperatures are reaching 109 degrees (ick! ), drinking lots of water is very important. 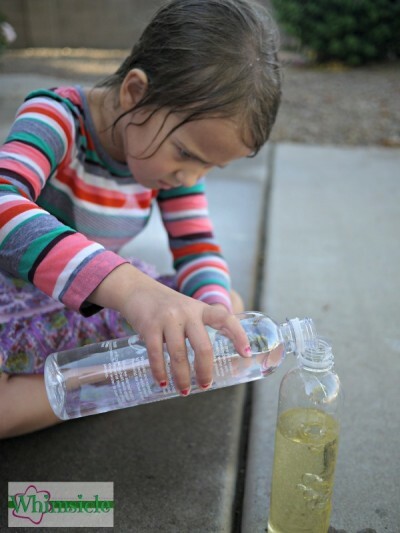 I made sure my daughter hydrated sufficiently by tasking her with emptying the water bottle we needed for this activity. We also had a water fight where we sprayed each other with the garden hose before we began. That helped a lot with the heat. 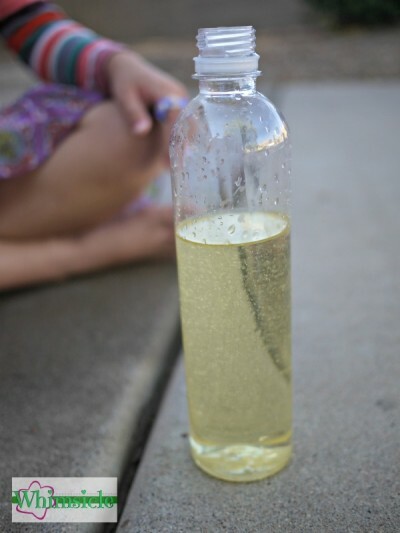 First, fill the empty water bottle about 2/3 full with vegetable oil. Fill the rest with water, leaving a little of space at the top. Notice that the water sinks below the vegetable oil. Oil and water just do not mix. The oil floats on the surface because the water is heavier (has a higher density) than oil. Now, add the food coloring. The food coloring will only mix with the water, not the oil. We stirred our concoction with a chop stick to mix the food coloring well with the water. I don’t recommend shaking the mixture. This causes a lot of little bubbles to form in the oil, which makes the effect of the lava lamp less stellar. When you are ready for the fun, break an Alka-seltzer tablet into four pieces. Have your child drop in one piece at a time. Have fun watching what happens! 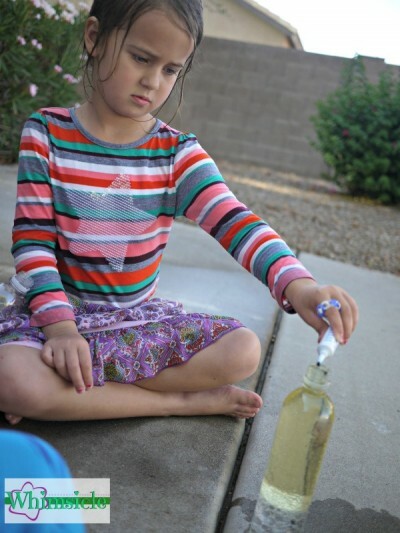 The best part is that your homemade lava lamp will work over and over again. You can even screw on the little plastic cap and break it out a few days later for fun. All you need is more Alka-seltzer. When you drop in the alka seltzer, it sinks to the bottom and starts dissolving. As it dissolves, it forms a gas which rises to the top and takes a little of the colored water with it. The gas bubble breaks on the surface and the colored water sinks back to the bottom. Now I get to relive the nostalgia of lava lamps and share that same joy with my two kids. My six-year-old daughter asks me to do this activity again and again. Some day, she will astound her teachers with her knowledge of liquid density. That’s why people had these things in the 70’s… right? I love discovery bottles! I made several recently. Some were old remakes & some were new. I did not add the Alka-seltzer. I am going to have to try it. Thanks so much for sharing! Cute kiddo!!! 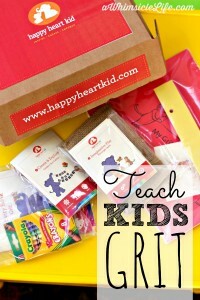 It was such a joy to stumble across your blog and learn of some fun and wholesome activities to do with my grandkids!! Thank you and I look forward to following your blog. Thank you!! I look forward to getting to know you!